With growing demand for authentic slate roof products Jeremy Lee, from Aggregate Industries’ Building Products division, examines the age-old issue of grading – and why cutting costs on materials might not always deliver overall project cost savings. Construction of new homes in the UK hit a ten year high in 2017, fuelling continued demand for construction materials including roof coverings. Amongst these are natural slate, which is undergoing something of a resurgence for its aesthetic appeal and natural finish on a wide variety of house types. Whilst the new build sector accounts for the majority of slate roof tiles, the restoration market is booming too. Air pollution in busy towns and cities is reducing the lifecycle of slate roofs originally designed to last 100 years or more, and decades of condensation from modern central heating systems are beginning to take their toll too. At Cambridge University’s King’s College, for example, 15,500 sq ft of roof slates are being replaced this year by restorers due to damage to the underside of slates from condensation. This demand for roof slates has brought the issue of grading back into focus – so often seen by contractors as a costly, time-intensive and frustrating process. And with a rising number of lower quality imports coming into the UK market to meet the growing demand, it is becoming even more of a hindrance for roofers on site. For many years, grading has been seen as a necessary consequence of using natural slate products to achieve a better aesthetic finish. Roofers will usually sort slate into at least three separate grades to use on the eaves, middle and ridges – which can be an incredibly time-consuming process. Whilst there will of course always be differences with any natural product, roofers have reported increases in the time (and therefore cost) it takes to grade roof slates in recent years, largely due to the inferior quality of the natural stone being brought into the market to meet demand. Lower grade slate often does not offer consistency of thickness, which not only makes grading a more lengthy process, but also affects quantity surveying too. With such inconsistencies, the number of tiles on a pallet can vary from between 720 and 770 tiles with a lesser quality slate product. So is there a better solution? In short, yes; buy better quality slate, with better consistency of thickness. It will cost more of course – but with consistency of thickness, there may be no need for grading, which can deliver overall project cost savings when taking into account the time saved on site. Bradstone’s Azul natural blue slate roof tiles, for example, are made from high quality slate originating from north-west Spain. The product has been specifically chosen not only for its attractive, textured look, but for its minimal grading requirements too. Every single tile offers a nominal thickness of 5-6mm, which guarantees a minimum of 740 tiles on a pallet, and reduces the need to grade tiles. It’s clear to see the potential to cut the time on site with such consistent thickness, especially when compared with a lower quality, inconsistent product which would require exhaustive manual grading. Like any construction product, the compromise over up front specification cost and overall project cost is often a difficult one to judge. But with such variations between the quality of natural slate being sold on the market in recent years, even those which achieve the necessary product standard BS EN 12326, the clear and demonstrable benefits of choosing a consistent slate product have never been greater. 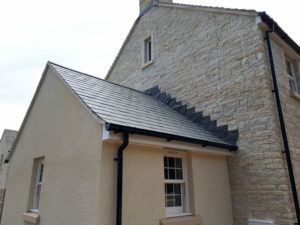 Paul Morse from Morse Roofing in Lechlade, Gloucestershire, who has been working with roof slates for more than 35 years, is one roofer to have expressed concern at the increasing amount of time spent on grading. 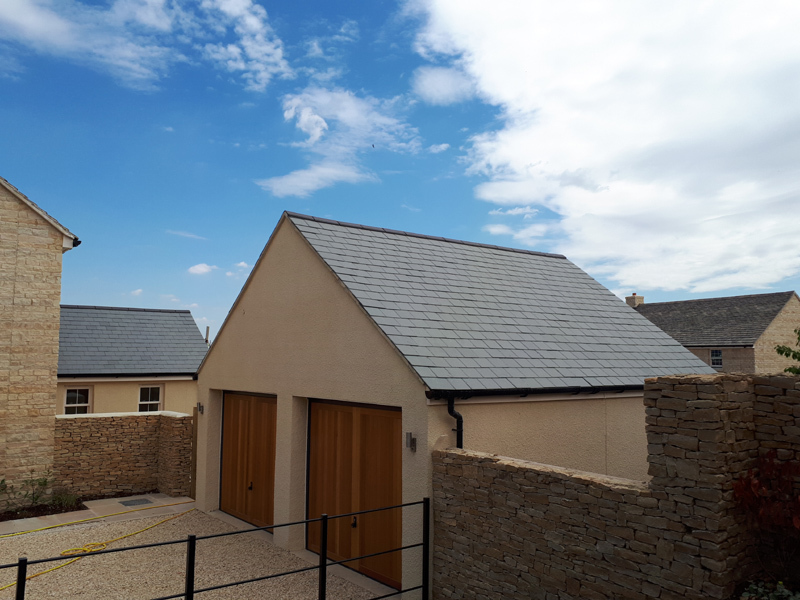 He says: “Grading roof slates has always been something we’ve done to improve the look and protect the integrity of a slate roof, but it’s obvious to me that the quality of slate being sold in recent years means we’re having to spend longer grading on site. Next : What can Checkatrade offer the tradesperson?